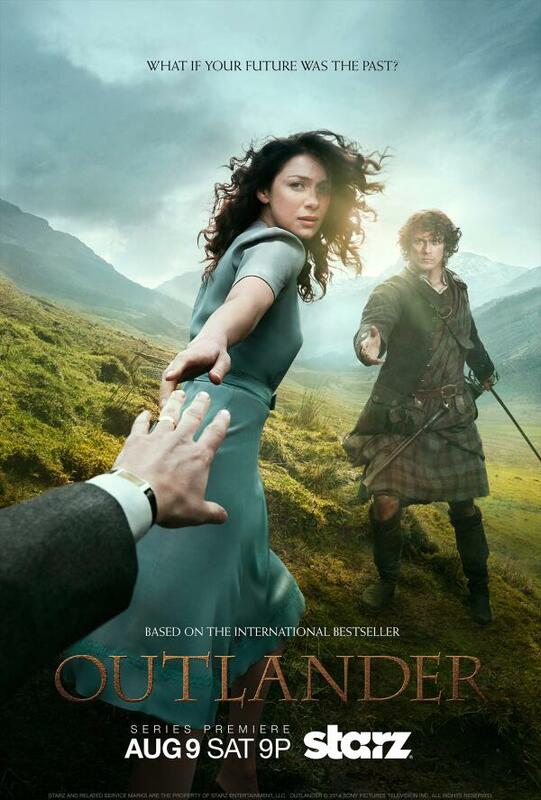 On May 8, Starz announced that the OUTLANDER TV series will debut in the U.S.A. on Saturday, August 9! Black Jack speaks! Click to watch an interview with Tobias Menzies as he discusses his impression of Outlander fans, joining the new TV series cast, and other topics. The actor plays the dual role of Frank Randall (Claire’s studious husband in the 20th century) and his ancestor, the villainous Black Jack, an English officer from the 1700s. Video and interview by AccessHollywood.com. Video posted on May 23, 2014. Prolific Paradise Valley author moves into TV, by Shelley Gillespie, Special for The Arizona Republic. Article about Diana and the new TV series. Published on May 23, 2014. We Have An Air Date, blog by Diana Gabaldon. Released on May 9, 2014. TV Series Will Debut On August 9, by Diana’s Webmistress. An article discussing the premiere broadcast of the OUTLANDER TV series in the U.S. and other countries. Posted on May 10, 2014. Read the story about the U.S. premiere on Entertainment Weekly’s website! This page last updated on Monday, August 4, 2014 at 5:50 p.m. (PDT).